ATTENTION! 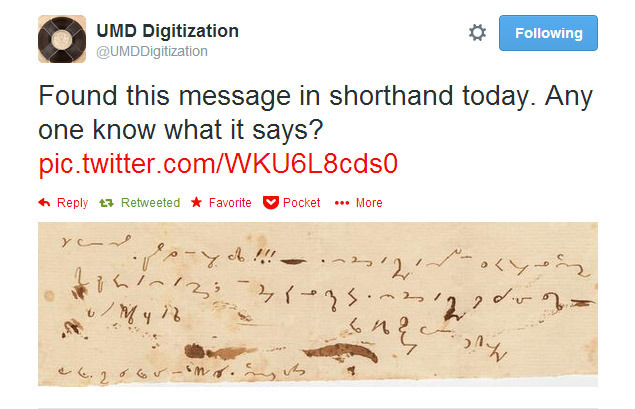 We found this 19th century shorthand message in the UMD Archives and are crowdsourcing the internet to translate it. Is there anyone on tumblr who knows shorthand and wants to help us decode this mysterious note?